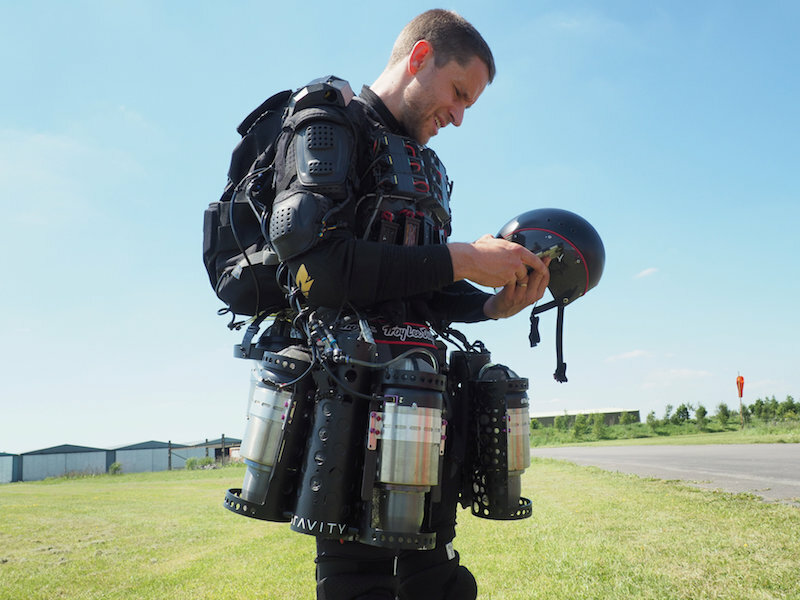 SOMERSET, England (Reuters) – The British inventor of an “Iron Man”-style jet suit has lofty hopes that his project, which started out as fun experiment, could become a practical tool for industries ranging from entertainment to the military. 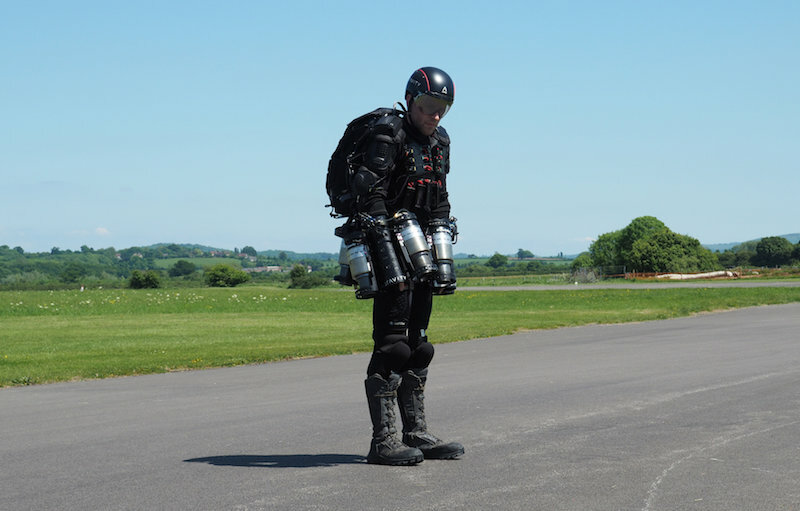 Richard Browning, a 38-year-old former commodities trader with little experience of engineering, developed his jet suit with the help of friends over the last 18 months. It is powered by six gas turbine engines which combined generate 800 horse-power. “We didn’t set out to build an “Iron Man” suit – it’s just accidental,” Browning said, in reference to the highly successful trilogy of super hero films starring Robert Downey Jr. The suit’s engines are mounted on the pilot’s lower back and on each arm. It powers up using a hand-held throttle. Browning said the suit is capable of carrying a person thousands of feet in the air, and in theory could attain a speed of around 280 miles an hour (450 kph). For safety reasons, however, Browning hovers just a few feet off the ground. Browning, who first developed the suit in his garage, describes it as a cross between a jet ski and a Formula One car. He believes it can be adapted to be used in the military, search and rescue and theme parks – or in fact anyone who has the funds to buy one. 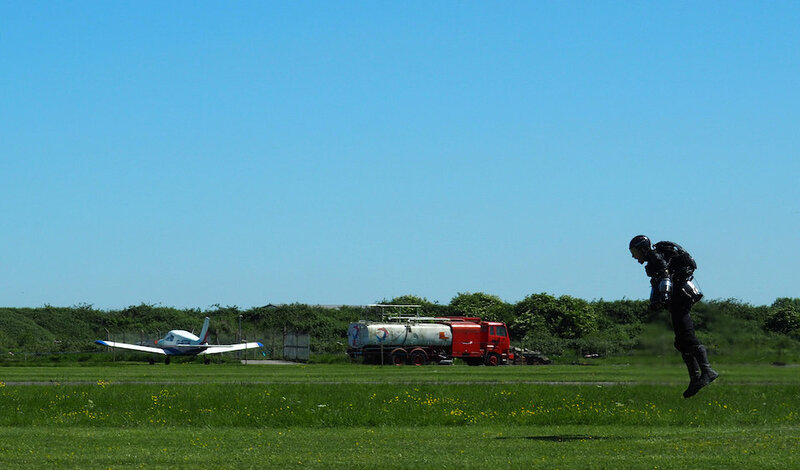 Browning showed off his piloting skills at a flight test on Thursday, breaking his record for speed by travelling over 30mph, covering a distance of several hundred meters. Browning said he has received investment from a venture capitalist, and has also secured interest from entertainment giants and the British and U.S. militaries. If man hours were taken into account, he said the suit would have cost “millions” to develop, and that the hardware alone cost a six-figure sum. However, he said flight costs are low as around 12 litres of standard diesel is used. Browning is not the only person to have pursued dreams of jet-powered glory. In Dubai, firefighters have showcased jet boots that allow the wearer to rise high into the air using water pressure, and French inventor Franky Zapata has created a jet-powered hover-board. 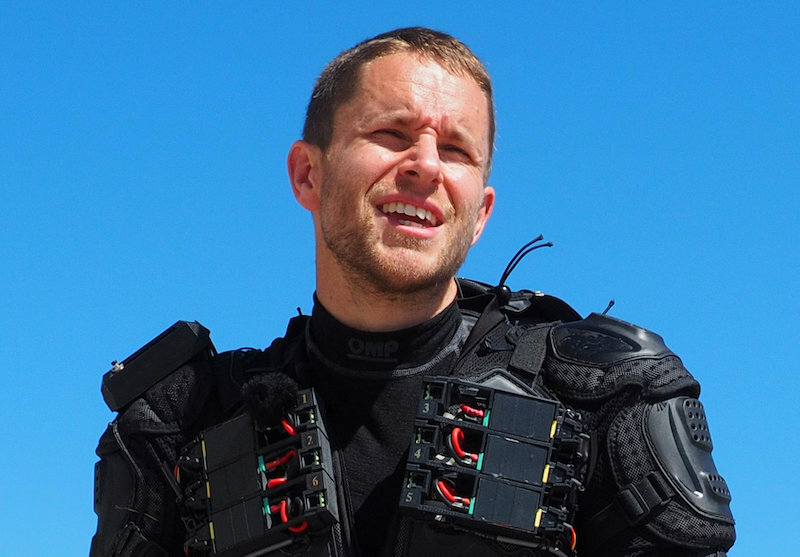 The next step in Browning’s project is the Genesis suit which he is developing with the aid of experts and investors, but challenges still remain. Specifically – how to ascend safely from the ground to a height that a parachute could be deployed.